Description: Biofuels are becoming increasingly popular as an alternative to fossil fuels, yet they can also have a negative impact when they divert resources from their initial use, such as food production. They can also contribute to deforestation in some cases. EFK Group based in Kenya produce biofuel from a natural resource that would otherwise go to waste – the Croton nut – which grows indigenously across 8 African countries and has no other commercial, productive or edible use. EFK Group Kenya produces biofuel, non-carbonized briquettes and agriculture products (organic fertilizer, poultry feed) through a no-waste manufacturing process all based entirely on the Croton nut. EFK organic fertilizer helps improve soil quality by restoring nutrients, eliminating the need for chemical fertilizers and the GHG emissions associated with their production & use. Now growing at a rate of 40% per annum, EFK Group can’t keep up with the demand for its products and hopes to expand into neighbouring countries. 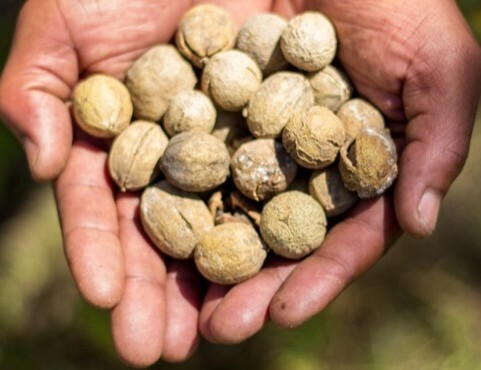 Why do we love it: Unlike other biofuels based on resources diverted from food production, EFK’s biofuel is made from a resource that would otherwise go to waste – the croton nut. Can you summarize EFK Group in one sentence? EFK group is the world’s first and only croton nut processing company, pioneering an entirely new cash crop and agribusiness industry in East Africa from an indigenous, plentiful but otherwise worthless nut. Where did the idea for EFK come from? After a 20+ year career working across Africa building telecoms networks, I wanted to focus my time on the continent’s next biggest challenge: energy. Spending some time looking at the potential for a Croton-based biofuels project, I began to think about what made other African biofuel projects fail, namely a group of well-funded ones that used Jatropha as their feedstock. Looking at the Croton potential in Kenya, I decided that to make a biofuel project that lasted we needed to focus on three things that the Jatropha projects did wrong: 1) engaging local communities in business activity, not charity 2) a multi-product approach to diversify the business’ risk and 3) a prove-as-you-grow model instead of a « big bang » approach with large tracts of land and tens of millions of dollars of investment before a dollar of revenue is earned. With my own savings I moved to Kenya and started EFK with a two-product focus, and over the past three years we have developed a strong, growing company with three years revenue growth selling the world’s first four croton-based products to local SME customers. We are not a biofuels project, we are an agribusiness and the potential for scale continues to expand with each milestone we achieved. – Farmers will grow croton trees as much, if not more, than they grow other cash crops like coffee or tea since the locality of its’ consumption will create stronger, more stable prices over time. Its’ high-output, low maintenance characteristics which intercrops well with other agricultural products will also make it a common cash crop for commercial land owners looking to sustainably increase farmland productivity. – Customers will seek croton as a low-carbon, high-value alternative for imported or unsustainably-sourced energy and agriculture products. Croton-based products will become staple inputs of East Africa’s growing agricultural economy and command premium prices compared to other inputs that currently exist on the market today due to high demand. – Competitor croton-processing businesses will be popping up left and right, and governments will start putting resources into encouraging the planting and processing of the croton nut on a national scale. EFK will be the premier croton company in the market with their experience, farmer relationships and strong focus on R&D including product and best-of-breed tree developments. The nuts from the croton trees used to fade back into the earth in northern Kenya, while their slim, silvery branches were the favored firewood for small farming communities. But in 2013, when people in villages like Gachika learned that a company was paying money for the nuts to turn them into fuel, hundreds of struggling subsistence farming families took to the forests. « I didn’t know that these trees or seeds were useful for anything,” said the farmer Martin Ndirango, who is now the second-largest supplier for the company, called EFK Group. He pays collectors around US$0.50 per kilogram of croton nut and sells them to the company for $1 to make organic fertilizer, animal feed, fuel and briquettes sold at roughly three times the price. 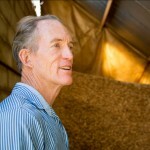 Bounding down a compost hill, sending mice fleeing ahead of him, this self-described serial entrepreneur held up handfuls of croton husks to show that they ferment at around 20 °C. Paul originally realized the potential of the nut when he worked as a development consultant, researching biofuels. When the project was dropped, he singlehandedly founded a small backyard operation based on this natural product he said was « literally lying on the ground. » He grew it into a business with a factory, 12 staff and an annual turnover of $100,000. « I took the concept and in six months had bought a factory and machines », then employed sales and marketing people to build a network of 2,000 collectors and a client base from scratch. For the first year, the company made biofuel from the squeezed nut, quickly selling out of this diesel substitute to clients such as a paint factory in Nairobi (which uses it as an ingredient) and a tannery (which uses it in place of palm oil). The unprocessed oil can also go into any diesel machine as an alternative fuel. To avoid wasting the croton husk, EFK Group created Kenya’s first certified organic fertilizer and persuaded businesses growing flowers and vegetables bound for Europe that its product would be better than the chemicals they used. The company now credits itself with having inspired many organic copycats. A high-protein seedcake for poultry followed after Paul noticed the birds pecking around the factory after hours. He hopes that one day his poultry feed will replace 5,000 of the 30,000 tonnes of protein cakes imported annually to Kenya. A briquette to replace charcoal will be on the market soon. Paul’s next plans are to get biofuel into the area’s many generators and water pumps, and crack the cosmetics market, too. Growing at a rate of 40 percent per year, EFK Group can’t keep up with demand for its products and the 500 tonnes of nuts it harvests annually is « only a tenth of what we want to be doing, » Paul said. As for Ndirango, he originally doubted the friend who told him that a local company would pay for the nuts, but spent a day collecting some anyway. He returned home to discover sackloads more standing outside his front door. « I don’t know who told these kids, but that evening, I found a line of small kids waiting for me. » Two weeks later, he called the company to come and pick up five tonnes of nuts. « Most of the people around this area are unemployed, so when they got an opportunity, they grabbed it, » said Ndirango, who like other cash croppers now earns more from croton than coffee. « Everyone was so happy and celebrating » when the money started rolling in. With $40,000 of EFK Group’s revenues going back into the local community, he said nobody is cutting down the trees anymore. Trees are vital to stop strong winds from sweeping across farms and removing fertile top soils, and farmers have found that staple crops like maize grown under croton trees fare better thanks to the falling leaves that replenish the soil. Autrefois considérée inutile, la modeste noix de croton d’Afrique de l’Est s’avère être une source précieuse de biocarburant, d’engrais et même d’aliment pour les volailles. Les noix de croton redisparaissaient dans la terre au Nord du Kenya, tandis que leurs frêles branches argentées, étaient utilisées comme bois de chauffage que favorisaient des petites communautés agricoles. Mais en 2013, quand les gens dans les villages comme Gachika ont appris qu’une société versait de l’argent pour transformer les noix en carburant, des centaines de familles pratiquant l’agriculture de subsistance sont descendues dans les forêts. «Je ne savais pas que ces arbres ou graines étaient utiles pour faire quoi que ce soit « , a dit l’agriculteur Martin Ndirango, qui est actuellement le deuxième plus grand fournisseur de l’entreprise, appelée EFK Group. Il paie aux ramasseurs environ 0,50 $ US par kilogramme de noix de croton pour les revendre à la société à 1 $, qui à son tour les utilise pour la production de l’engrais organique, d’aliments pour bétails, du carburant et des briquettes et les revend plus ou moins à trois fois plus cher. Bondissant d’une colline de compost, en dispersant des souris fuyant devant lui, cet entrepreneur qui s’auto décrit « entrepreneur en série », a tenu des poignées d’écorces de croton pour montrer qu’ils se fermentent autour de 20 °C. Pour la première fois, Paul s’est rendu compte de l’importance de la noix de croton lorsqu’l qu’il travaillait en qualité de consultant en développement, conduisant des recherches sur les biocarburants. Lorsque le projet fut abandonné, il a fondé, tout seul, une petite entreprise dont l’activité reposait sur le produit naturel, a-t-il dit « carrément éparpillés sur le sol. » Il l’a ensuite développé pour y adjoindre une usine, avec un personnel de 12 membres et un chiffre d’affaires annuel de 100 000 $. «J’ai pris en charge le concept, et au bout de six mois, j’ai réussi à acheter une usine avec des machines ». Ensuite, j’ai employé des personnes chargées de la vente et du marketing pour ainsi mettre en place un réseau de 2.000 ramasseurs et une base de clients que j’ai développée de A à Z. La première année, la société a réussi à produire du biocarburant à partir de la noix pressée, qu’elle a revendu aussitôt en tant que substitut de diesel aux clients qui en ont besoin. Il s’agit notamment d’une usine de peinture à Nairobi (qui l’utilise en tant qu’ingrédient) et une tannerie (qui l’utilise à la place de l’huile de palme). L’huile non traitée peut aussi être utilisée dans n’importe quelle engin à diesel en tant que carburant alternatif. Pour profiter de l’écorce de croton, le EFK group a mis au point le premier engrais organique certifié du Kenya. A cet effet, il a pu convaincre les entreprises spécialisées dans le domaine de la floriculture et de la culture de légumes destinées à l’Europe, que son produit serait mieux que les engrais chimiques qu’elles utilisaient. A présent, la société se vente elle-même d’avoir été source d’inspiration pour des nombreux imitateurs organiques. Le succès s’est poursuivi par la mise au point d’un tourteau riche en protéines destiné à l’alimentation de la volaille, après que Paul ait remarqué que les oiseaux picoraient autour de l’usine pendant des heures. Il espère qu’un jour son aliment pour volaille remplacera les 5.000 des 30.000 tonnes de tourteaux de protéines importées chaque année au Kenya. Une briquette pour remplacer le charbon de bois sera bientôt sur le marché. Les projets futurs de Paul visent à introduire le biocarburant dans des zones où les groupes électrogènes et pompes à eau sont utilisés à grande échelle et à atteindre le marché des cosmétiques. Se développant à un rythme de croissance de 40 pour cent par an, le EFK Group ne peut pas satisfaire toute la demande exprimée en faveur de ses produits et les 500 tonnes de noix qu’il récolte chaque année ne représente qu’un dixième des objectifs que nous voulons atteindre « , a déclaré Paul. Quant à Ndirango, il doutait au départ de son ami qui lui avait dit qu’une entreprise locale achèterait des noix de croton. Malgré cela, il a passé toute une journée à en ramasser quelques-unes. A son retour chez lui, Il y trouva de nombreux sacs chargés placés devant sa porte d’entrée. « Je ne sais pas qui a informé ces enfants, mais ce soir-là, j’ai trouvé une file de petits enfants qui m’attendaient à la maison. » Deux semaines plus tard, il a invité la société à venir ramasser cinq tonnes de noix. « La plupart des gens vivant dans cette zone sont au chômage, alors dès qu’une opportunité se présente, ils n’hésitent pas à la saisir », a déclaré Ndirango, qui, comme bien d’autres producteurs de cultures industrielles, tirent beaucoup plus de profits de la culture du croton que celle du café. « Tout le monde était si heureux dans une atmosphère festive » quand l’argent a commencé à tourner. Avec la somme de 40.000 $ qui revient à la communauté locale à partir des recettes du EFK Group, il a dit que personne ne coupe plus d’arbres. Les arbres sont nécessaires pour empêcher les vents violents de souffler à travers les cultures en emportant la terre végétale fertile et les agriculteurs ont constaté que les cultures de base tel que le maïs cultivé sous des arbres de croton poussent mieux grâce à la chute des feuilles qui reconstituent le sol.